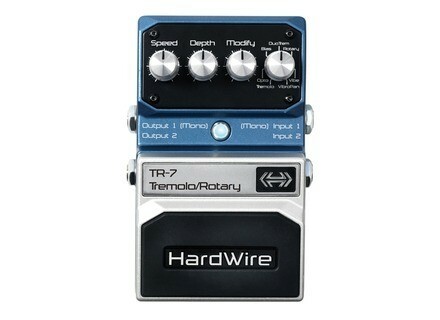 TR-7 Tremolo/Rotary Pedal, Tremolo pedal from HardWire Pedals. 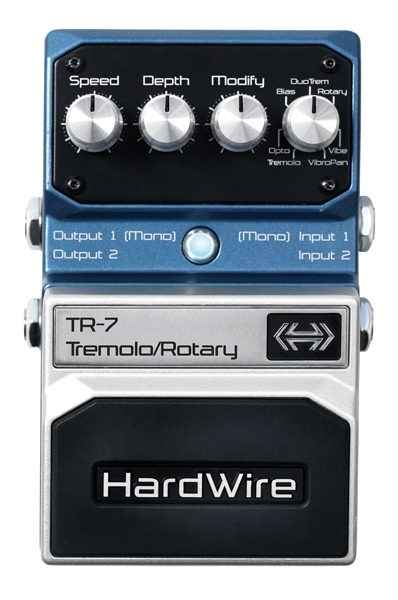 HardWire is introducing the new TR-7 Tremolo/Rotary Pedal at the 2010 Summer NAMM Show in Nashville, Tennessee. The TR-7 is a true stereo tremolo, rotary, and vibrato pedal, which offers effects ranging from traditional tremolo to a rotary cabinet simulator. It also features true stereo I/O. Each HardWire pedal also features an assortment of accessories, including green gaffer tape common to pro pedalboards, Stomplock knob guards to maintain pedal settings and a hook & loop pad to fasten the pedal to a pedalboard. Check out www.hardwirepedals.com for more details. Planet Waves NS Capo Tuner The product of an ongoing collaboration between Ned Steinberger and D’Addario, the NS Capo Tuner combines the NS Dual Action Capo with a Planet Waves precision chromatic tuner. Martin & Co SP Lifespan Strings C.F. Martin & Co. has announced an addition to the Martin SP acoustic string product line, the new Martin SP Lifespan. Vox AC15VR Valve Reactor Combo Amp Review A few years ago, Vox launched their legendary AC30 as an amp head or as a combo, all made in China at an affordable price. This year, VOX is spoiling us with a hybrid series, using a special amplification technology mixing transistors and tube. This 15 Watts model is what’s on the menu for today.